Pneumonia is an infection of the lung and ventilator-associated pneumonia is a lung infection that arises with mechanical ventilation. As with any part of the body, a range of microorganisms can infect the lung although certain species, particularly bacteria, are more likely to affect the lung than others. Most of the time pneumonia arises when certain germs like bacteria are inhaled and able to reach the lung because protective mechanisms fail to restrict it. There are many different types of pneumonia which can be classified according to the way or setting in which it is contracted. 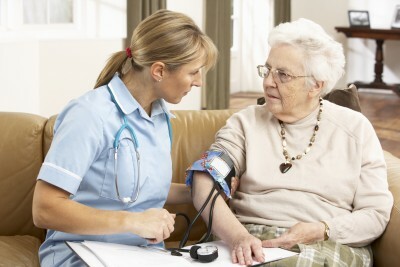 Among the elderly, nursing home acquired pneumonia (NHAP) is commonly seen in residents of old age homes and health care facilities. There is many such types of pneumonia but one of the most dangerous is ventilator-associated pneumonia (VAP). A ventilator or respirator is a mechanical device that assists with breathing. It is a lifesaving device used when a person can either not breath on their own, or maintain the depth, rate or rhythm of breathing that is needed for adequate gas exchange. Despite its importance as a lifesaving device, a ventilator can also increase the chances of a lung infection. By bypassing the upper respiratory tract, a ventilator introduces air into the lower airways. In this way, the various mechanisms to filter air in the upper respiratory tract are therefore bypassed. Microbes in the air can enter more easily into the lung. However, more importantly the secretions from the mouth and even from the stomach can now enter the lung. These secretions are often teeming with a host of bacteria which may not cause an infection in the mouth or stomach but is detrimental to the lung. Therefore pneumonia (lung infection) may develop after 48 hours of being on a ventilator. Is Ventilator Associate Pneumonia Serious? Ventilator-associated pneumonia is a very serious lung infection especially if ventilation is ongoing and a person is old or has a weakened immune system like with HIV infection. The seriousness of the lung infection also depends on the type of bacteria that causes an infection. About 1 out of 4 people on mechanical ventilation may develop ventilator-associated pneumonia, and between 25% to 75% of these individuals may die from the infection. The elderly are often at the greatest risk, especially if they have been on mechanical ventilation for more than 4 days. The outlook or prognosis is dependent on several factors. However, one of the major factors to consider is whether the infection starts within the first 4 days of hospitalization. The infection is then known as early-onset ventilator-associated pneumonia (VAP). If it occurs 5 or more days after admission then it is known as late-onset ventilator-associated pneumonia (VAP). Late-onset VAP is often more dangerous because the bacteria involved in the lung infection are often multi-drug resistant. These types of bacteria are commonly found in the hospital environment. Once it causes an infection, it is very difficult to treat. When a person has poor immune defenses or is very weak, the infection is almost impossible to overcome despite the best antibiotics. Death follows soon after.